USDJPY is under the influence of Kuroda’s remark which weakened USD. 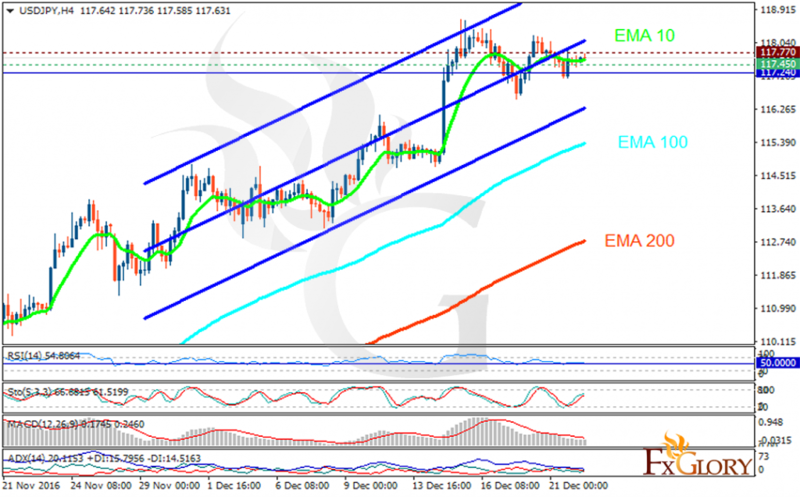 The support rests at 117.450 with resistance at 117.770 which both lines are above the weekly pivot point at 117.240. The EMA of 10 is moving horizontally and it is located above the EMA of 200 and the EMA of 100. The RSI is moving on 50 area, the Stochastic is showing upward momentum and the MACD indicator is in positive territory. The ADX is not showing any clear signals. Long positions are recommended at the moment, targeting 119.00 area. However, the support level breakthrough will smooth the way for further decline targeting 116.00.